Applied Materials, the leading semiconductor equipment manufacturer, on Tuesday said it came up with a breakthrough that allows chip makers to more easily separate electrical contacts and transistors on a processor. The aim: Scale Moore's Law. 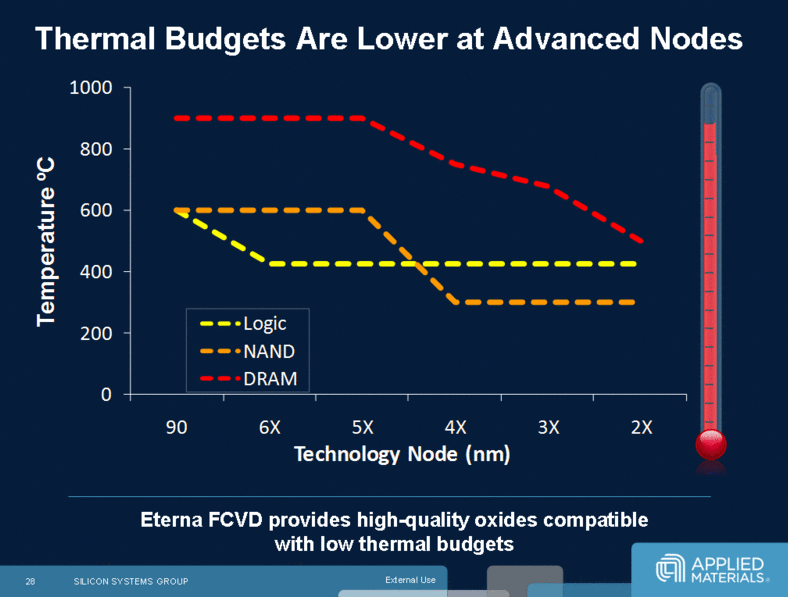 The new product, dubbed Applied Producer Eterna FCVD (Flowable CVD), is capable of "electrically isolating the densely-packed transistors in 20nm-and-below memory and logic chip designs with a high-quality dielectric film." CVD refers to chemical vapor deposition, a step in the semiconductor manufacturing processing. CVD transfers materials onto the wafer. 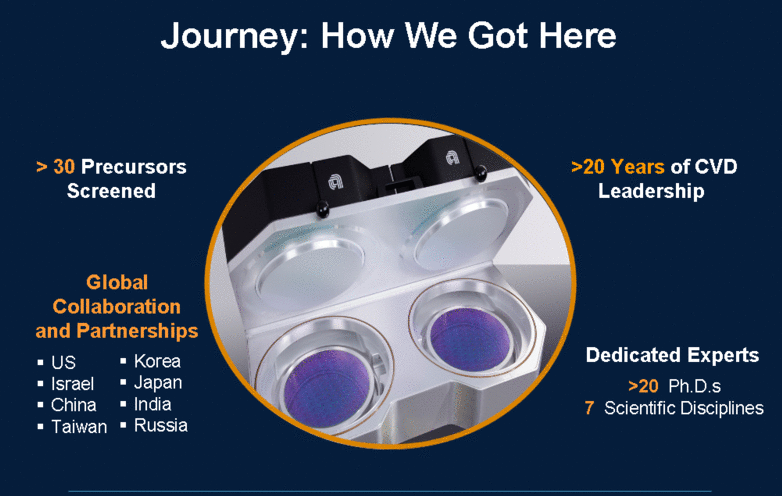 In English, Applied Materials' breakthrough will allow chipmakers to cram more independent transistors on one semiconductor wafer. Bill McClintock, vice president and general manager of the unit behind the Eterna FCVD, said on a conference call that memory, Flash and logic applications will benefit. 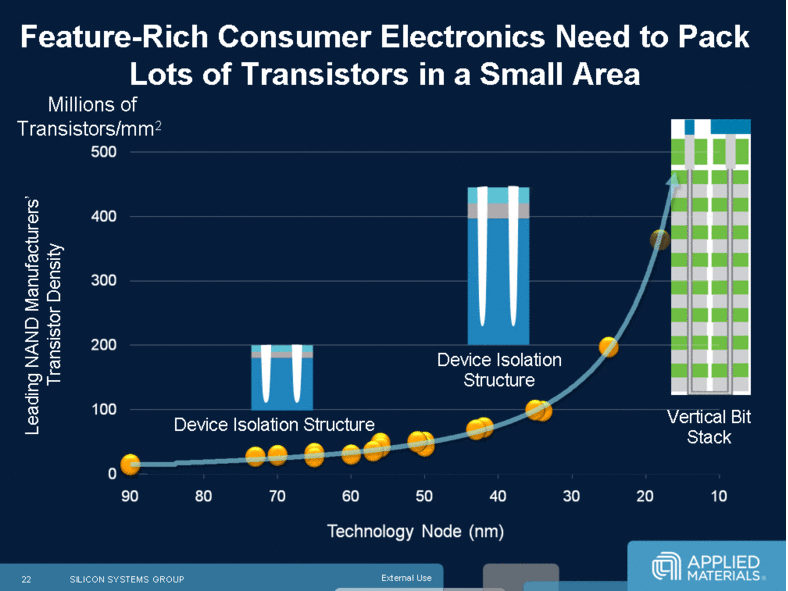 For instance, NAND flash memory will increasingly move to 3D designs---think a nano-scale skyscraper of memory. According to the company, "Eterna FCVD process delivers a liquid-like film that flows freely into virtually any structure shape to provide a bottom up, void-free fill." Dr. Randhir Thakur, executive vice president of Applied Materials' silicon systems group, said he sees the market for its equipment doubling. "We believe this product going forward is going to become the workhorse of the industry as we wrestle with 3D designs," he said.